ANTICIPVTION, originally uploaded by vw-busman. VW-Busman brings us yet another sign of Hillside. Click the pic for more action. Tags: Blog Guelph,Blog Guelph, Guelph, Art Jam Hillside Festival, Flickr, photo. Order a Breast of Canada today. Guelph Ontario, Hillside Festival is on!, originally uploaded by Our Enchanted Garden. Thanks to Our Enchanted Garden for posting this photo on Flickr. IMG_4956_edit, originally uploaded by fotograf.416. Are you ready for Hillside? For patron/photo enthusiasts would like your work considered for Blog Guelph, please post your 2006 shots on Flickr and tag your photos "hillside festival". 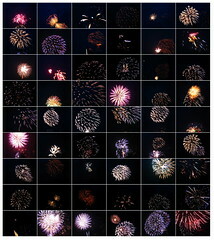 This photo taken by fotograf.416 on July 2005. Click the pic. 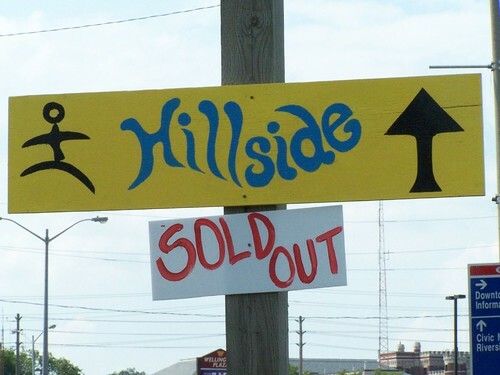 After 22 years of festivals, thousands of volunteers who have come and gone and hundreds of thousands of volunteer hours, the 23rd Annual Guelph Hillside Community Festival is officially sold out. May the sun shine gently from now til next week. Tags: Blog Guelph,Blog Guelph,Guelph, Art Jam Flickr, photo Hillside Festival music sold out. Order a Breast of Canada today. 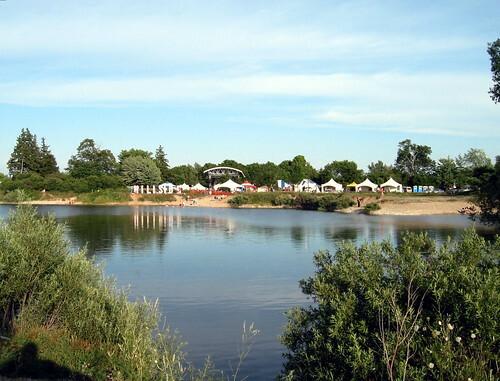 The Beer Tent was formally introduced to Hillside on the 4th year when the festival moved from Riverside Park to Guelph Lake Conservation Area. Previously a one day festival, the move allowed the event to expand to a three day format, include camping and thanks to the larger space, a very popular beer tent. Brick Brewery sponsored the tent and provided the draft during the first few years on the island. To reduce the amount of garbage, beer-drinking patrons were encouraged to write their name on the plastic beer cups with magic markers and reuse their vessels for refills. 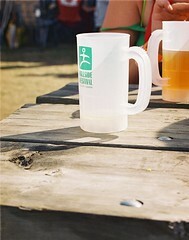 Eventually, Hillside introduced the official beer mug, which served the same purpose and gave patrons a nifty piece of swag to cart home. Tags: Blog Guelph,Blog Guelph,Guelph, Art Jam Flickr, photo Hillside Festival music beer. Order a Breast of Canada today. Photo Credit: Kurtrik posted on Flickr. Click the pic. The 2006 Hillside Festival program is officially out. As I leafed through the pages last night, the first thing that popped out was the Getting into Hillside page. Should you be 'bike inclined' Hillside Festival offers a secure bike lock-up on the island proper. 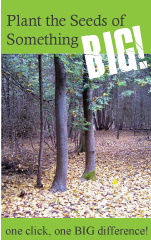 Even if you don't want to ride in from the city, you might consider bringing your bike for use in the Guelph Lake Conservation Area. Both car parking and patron camping are situated a good distance from the festival site. Hopping on your bike will make the trip that much more fun. Hillside Lettering Team, originally uploaded by Aaron G Stock. Just like Christmas, Hillside Festival has a season that extends beyond the actual weekend. Besides the thousands of hours dedicated to organizing the three-day event, patrons also work themselves into a frenzy during the weeks leading up to Hillside. 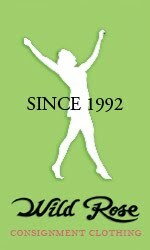 This year marks the 23rd annual. When I pulled out one of my old programs from 1990, the year Hillside turned seven, I smiled. I was artistic director that year and wrote the following in my Welcome To Hillside program address. 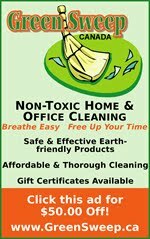 "We have created a niche. The one goal yet to be realized would be the ultimate icing on the cake. 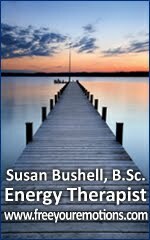 It would eliminate months of worry and reduce our nickel and dimeing dramatically. Maybe we're still too young but.... imagine finding out that Hillside Festival was 'Sold Out'. Just imagine." Tags: Blog Guelph,Blog Guelph,Guelph, Art Jam Flickr, photo Hillside Festival music summer. Order a Breast of Canada today. I actually grew up in Brantford and London, but I know a lot of Guelphites that have been here all their lives. The Guelph Children's Museum has a great exhibit which follows the lives of four children from four different time periods (Mississauga Indian, First Settler, Victoria Era and Wartime Era). 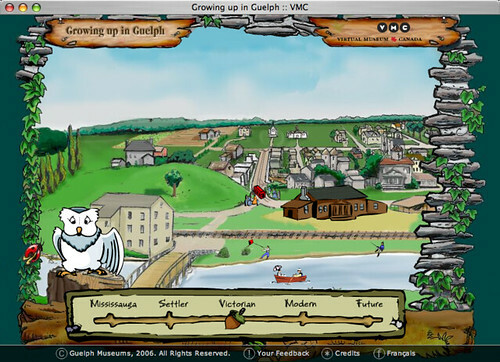 Its a great educational resource where visitors will learn about what it was like to be a child living in Guelph during each time period. Audio stories are presented for each child along with objects such as toys and clothing. 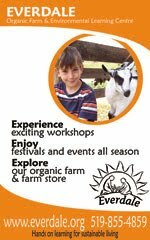 Grab your favourite child and head down to the Guelph Civic Museum today! For those who can't make it to the museum or who can't wait to visit the museum, a virtual version of the exhibit was created. 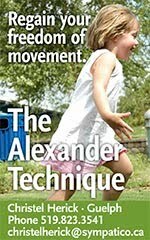 You can visit it at GrowingUpInGuelph.ca. 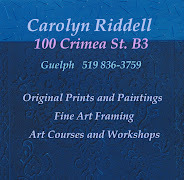 Tags: Blog Guelph,Blog Guelph, Guelph, Art Jam Two Rivers Community Group , Photobucket, photo. Order a Breast of Canada today. Who caught Magneta Lane or Royal Wood at Art on The Street? It was awesome to have such prominent indie acts play amongst the sea of visual art. 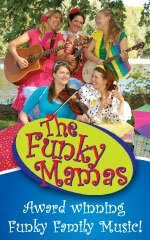 Like me, if you saw the show it helped to wet your appetite for the upcoming Hillside Festival at Guelph Lake. Guelph is like a ghost town during Hillside, and for good reason, no other event brings such great music so close to Guelph. If you don't have tickets for this year's Hillside there a few left for Friday night. Friday night on the main stage you can see Great Lake Swimmers, Corb Lund, Kathleen Edwards and The Stills. How can you go wrong with that line-up? 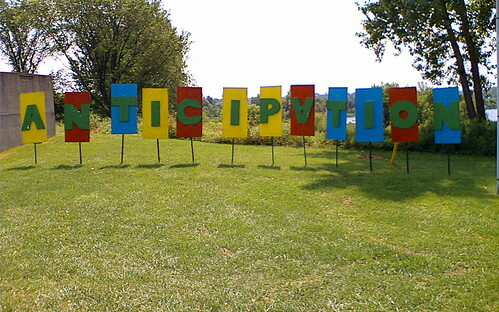 7 Days left for Hillside 2006. IMG_2932, originally uploaded by vaneramos. The Guelph Two Rivers community garden is located on a vacant lot in Ward One, commonly known as "The Ward". Garden lovers from the surrounding neighbourhood who lack their own garden space or want the community interaction, nurture small sections of a vacant lot into bountiful food producing plots. Besides the garden, the Two Rivers Community Group offers a variety of services including volunteer opportunities. Go here for more details. 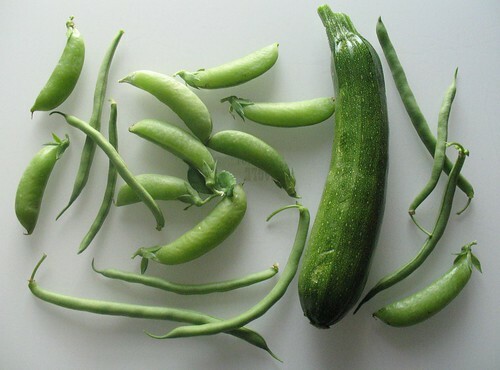 Photographer Vanderamos shows us his first garden harvest of the season. Click on the pic to see more of his green thumb adventuring. 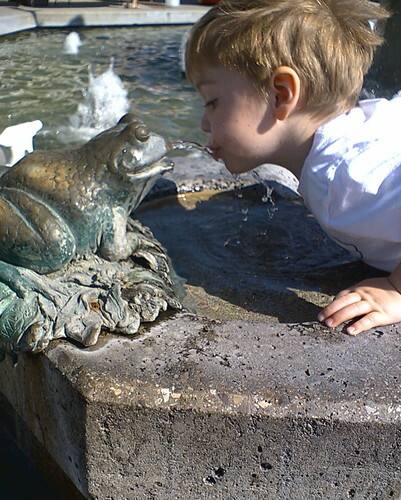 kiss the frog, originally uploaded by vw-busman. VW-busman supplied us with this shot today. For more of his work, click on the pic and go to Flickr. 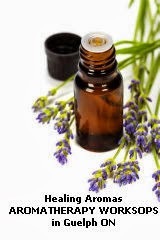 Or check out the-busman-chronical blog, listed in the right hand blogroll. 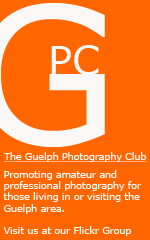 Tags: Blog Guelph,Blog Guelph, Guelph, Art Jam frog, Photobucket, photo. Order a Breast of Canada today. 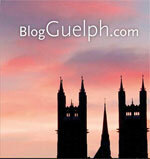 Welcome to Blog Guelph's new web home. Please allow me to introduce you to the lovely new host and hostess of the latest Art Jam project, Barking Dog Studios. Art Jam and Barking Dog have been web playmates for seven years now. They designed our first site. And they host and designed this blog. And of course they laid the template ground work for this important effort, which they also host. Located in the Gummer Building in downtown G-town, the fine folks of Barking Dog Studios excel at creativity, style, cool navigation and all things webby....like this fun adventure. These cats...er dogs are techno artists of the highest degree. Blog Guelph now sits on the BD server, with its own url......www.blogguelph.com. 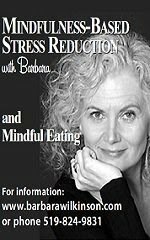 Please put a link to us in your blogroll or on your website. And check out Barking Dog. Tell 'em Blog Guelph sent you. Tags: Blog Guelph,Blog Guelph, Guelph, Art Jam barking dog, flickr, photo. Order a Breast of Canada today. According to Ms. Lynn from the Downtown Board, tomorrows "4th Annual Art On The Street is a free, multi-disciplinary arts exhibition and sale presented in a festival atmosphere in Downtown Guelph. Streets will be closed in order to present a bazaar of artist’s booths. There will be live music, circus performers and various kid fun activities such as Sonic Playground." 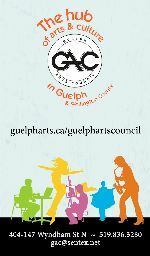 "Plus...there's an information table staffed by the indomitable Guelph Arts council for local groups to promote themselves. The artists exhibiting their work come from Guelph and beyond." 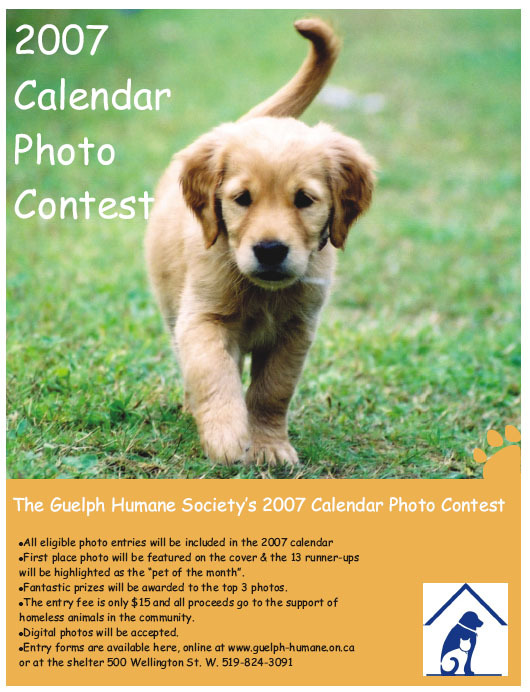 "For more information, please call: (519) 836-6144 or email: [email protected]"
Sounds like photo opportunities galore. Tags: Blog Guelph,Blog Guelph, Guelph, Art Jam street art, Art, photo. Order a Breast of Canada today. So you may be wondering where the heck Guelph is anyhow? 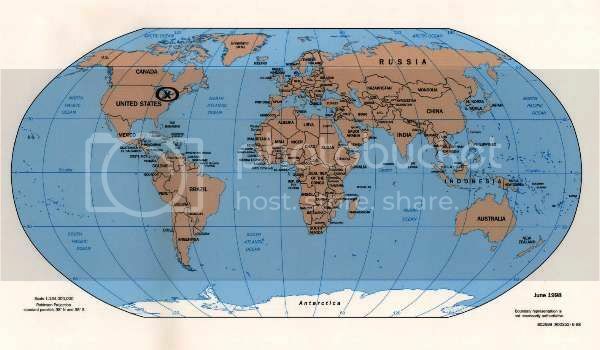 The circle on the map is roughly accurate but much larger than our small city. 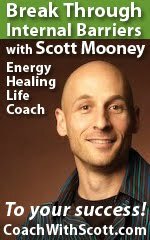 This image is hosted on Photobucket. Thanks to Tingish for posting and drawing the circle. Tags: Blog Guelph,Blog Guelph, Guelph, Art Jam latitude, Photobucket, photo. Order a Breast of Canada today. Guelph Lake supports both a sailing and rowing club. Motorized boats are not allowed unless used for safety purposes...like being on hand at regattas and during training sessions. The Guelph Rowing Club has grown by leaps and bounds over the last couple of years. You can take a Learn-to-Row program, join the Recreation Program, train for competition, own your own boat, use club boats or do it all. PictureTakinDevil took this photo of a Guelph Club eight. (4 oars on either side) Click on his pic to see great shots of the clubs recent regatta. Tags: Blog Guelph,Blog Guelph, Guelph, Art Jam rowing, Flickr, photo. Order a Breast of Canada today. 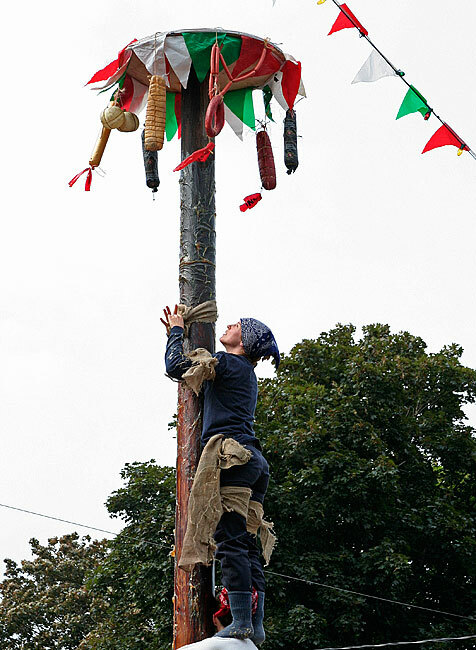 One of the premier events at Guelph's Italian Canadian Festival is the Greased Pole Climb. Photoblogger Randy Sutherland catches the female team in action here. The goal of the competition is to grab one of the red flags hanging off the salami... so much could be said about the salami but I will restrain myself and remain poised. The challenge comes when the four-team members stack themselves on top of each other but still fall short of the top. The pole is thickly coated in axle grease. Think slippery, filthy and smelly. Reaching the prize is brutally hard. Not recommended for the weak limbed. Check out the grand'FOGGER blog for a close-up of the men’s team. Tags: Blog Guelph,Blog Guelph, Guelph, Art Jam greased pole, Flickr, photo. Order a Breast of Canada today. Downtown Guelph exploded in celebration after the World Cup Final yesterday afternoon. This shot is taken close to Tony's Billiards looking down Macdonnell Street. Photographer compscigrad captures the frenzy with dozens of photos on his Flickr account. Click on the pic to see more. Tags: Blog Guelph,Blog Guelph, Guelph, Art Jam World Cup, Flickr, photo. Order a Breast of Canada today. According to Wikipedia, 9.6% of the Guelph population is Italian. So when the streets filled with flag waving, horn honking motorists yesterday around 5pm, it took no time to understand why. Compscigrad took a series of pics of the post World Cup match, traffic jammed celebration downtown. 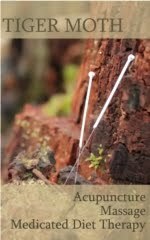 Click on the pic for more shots. Coincidentally, this weekend happens to be our 13th Annual three day Italian Canadian Festival. The final game of the World Cup is set for Sunday at 2pm. Tags: Blog Guelph,Blog Guelph, Guelph, Art Jam World+Cup, Flickr, photo. Order a Breast of Canada today. July 1 was Canada Day. To mark our 139th year of Canadian-ness, the mild mannered, polite Canucks like to gather in a large crowds, after dark and blow stuff up. Stuff like fireworks, not buildings. We also like to wave little maple leaf flags too. And drink beer. Chris is showing off the LifePoster Automator feature with this pic of the explosions that were enjoyed by young and old in Riverside Park on Saturday night. The audio track, if there was one, would likely sound like this. Oooooooh, Aaaaaaaaaaaaah. Check out the_busman_chronicals blog on the right for more work by Chris. Or click on the pic for his photo stream. 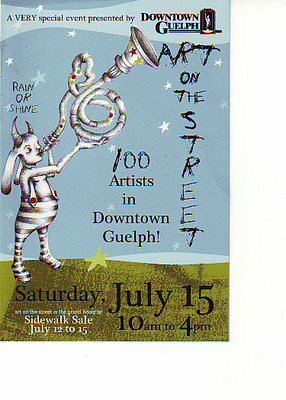 Tags: Blog Guelph,Blog Guelph, Guelph, Art Jam Canada Day, Flickr, photo. Order a Breast of Canada today.